Ashfold families joined together for the School's annual Bonfire and Fireworks Night. 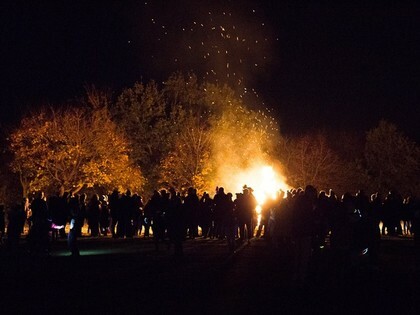 In near perfect conditions, children, parents and staff enjoyed a spectacular firework display, followed by the warmth of the bonfire and glass of mulled wine. Thank you to APC and everyone involved in making this such a special event. Thank you also to everyone who supported the mufti day that coincided with Bonfire and Fireworks Night. We raised more than £300 for our chosen charity, Helen and Douglas House!